The Selgovae were a people of the late 2nd century who lived in what is now the Stewartry of Kirkcudbright and Dumfriesshire, on the southern coast of Scotland. They are mentioned briefly in Ptolemy's Geography, and there is no other historical record of them. Their cultural and ethnic affinity is commonly assumed to have been Brittonic. Assertions that the Solway Firth preserves the name of the Selgovae are without foundation. 'Solway' is Anglo-Saxon from the thirteenth century (sol = 'mud', wæth = 'ford'), and this was the name of the main crossing at Eskmouth at that time. The firth has been known by various names in the past, and this one happened to be the survivor. The sole record of the Selgovae and their towns is their mention by Ptolemy in c. 150. Their name appears in the 8th century Ravenna Cosmography as 'Segloes', but the document here is taken to be an imperfect copy of classical sources such as Ptolemy, and not an independent historical reference. The Novantae are unique among the peoples that Ptolemy names in that their location is reliably known to have been in Galloway due to the way he named several readily identifiable physical features. Since the Selgovae were adjacent to them, their homeland is similarly known. Ptolemy said that the towns of the Selgovae were Carbantorigum, Uxellum, Corda, and Trimontium. However, there were no towns as such in the area at that time, so he was probably referring to Roman military camps and native strong points such as duns. In the Ravenna Cosmography the town names appear as Carbantium, Uxela, Corda, and Trimuntium, resp., and the towns are given in a list that does not associate any of the towns with any particular people. Efforts have been made to determine the locations of the towns, but there is not enough information available to reach any degree of certainty, and the locations suggested are little more than guesswork. Carbantorigum was at the Moat of Urr according to Skene, and Rhys thought the name derived from Carbantorion (chariot town). Uxellum was at Wardlaw Hill at Caerlaverock according to Skene and Horsley; it is noticed that the name sounds like Welsh uchel (high) or Gaelic uas, uasal. Corda was at Sanquhar, according to Skene. Trimontium was at Birrenswark Hill, according to Skene, who says its name probably represents Brittonic Tref mynydd (English: Town on the Mountain). Rhys, agreeing with Wyntoun, thought that 'Selgovae' means 'the hunters' (Irish: selg, Welsh: hela, 'hunting'). In his account of the campaigns of Gnaeus Julius Agricola (governor 78 – 84), Tacitus says that after a combination of force and diplomacy quieted discontent among the Britons who had been conquered previously, Agricola built forts in their territories in 79. In 80 he marched to the Firth of Tay, campaigning against the peoples there. He did not return until 81, at which time he consolidated his gains in the lands that he had conquered. The territory of the Selgovae was substantially planted with Roman forts at this time, at Broomholm, Birrens, Ward Law, Milton, Drumlanrig, Dalswinton, and at Glenlochar on the eastern bank of the River Dee, which was perhaps the boundary between the Selgovae and the neighboring Novantae. This suggests (but does not confirm) that the Selgovae were among the British peoples who had strongly resisted Roman occupation. This is in contrast to the neighboring Novantae, where there were no signs of Roman occupation save the fortlet at Gatehouse of Fleet, in the southeast of their territory. Following the reorganisation of northern Roman Britain and the construction of Hadrian's Wall (c. 122), the only Roman forts in Selgovae territory were at Birrens and Netherby. However, with the construction of the Antonine Wall and the re-occupation of territory north of Hadrian's Wall (c. 142), Selgovae territory was again heavily planted with Roman forts, at Netherby, Broomholm, Birrens, Burnswark, Raeburnfoot, Shieldhill, Milton, Drumlanrig, Dalswinton, Carzield, Lantonside, and Glenlochar. There were no Roman forts planted in the territory of the neighboring Novantae. When Rome largely abandoned its occupation of territory north of Hadrian's Wall under the reorganisation of Marcus Aurelius (c. 175), they nevertheless retained forts at Birrens and Netherby, though there would never again be a large-scale military occupation of Selgovae territory. Rome had permanently abandoned Selgovae territory by 370. The ethnic and cultural affinity of the Selgovae is assumed to have been Brittonic, and there is no evidence to dispute the suggestion that they were an integral part of the tribal Brigantes. Archaeological evidence is scant, but it includes a Roman-era figure and inscription found at Birrens that was dedicated to 'Brigantia', similar to dedications found in known Brigantian territory in Cumbria and Yorkshire. 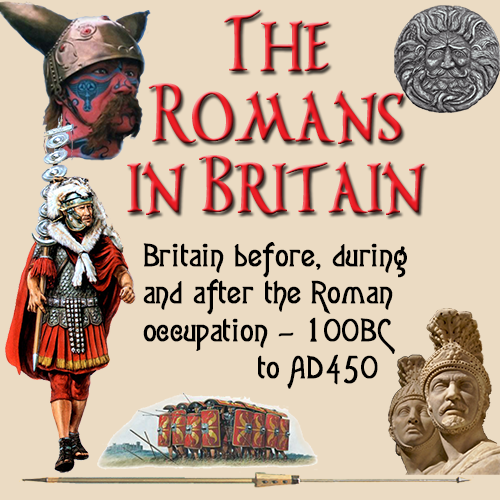 Tacitus says that the Brigantes were a large tribe, and their territory was more extensive than is commonly shown on maps of Roman Britain, which approximately restricts them to northwestern England south of Hadrian's Wall. Artifacts associated with the Brigantes have been found across the region just north of Hadrian's Wall, both in England and in Scottish Dumfriesshire and the Stewartry of Kirkcudbright.They are also known to have been present in southern Ireland. The Brigantes were troublesome to Roman rule, strongly resisting initial Roman occupation and frequently rising in efforts to throw off Roman rule. The Roman response was overwhelming force and the subsequent heavy plantation of forts of occupation. The heavy plantation of forts in Selgovae territory is similar to the Roman occupation of the Brigantes and unlike Roman treatment of other neighboring peoples such as the Novantae and Votadini, who were never known to be at war with the Romans, and who were not heavily occupied. Much later history, better recorded, shows that the territory of the Selgovae was continually associated with Cumbria (homeland of the Brigantes) and Alt Clud (homeland of the Damnonii), both of which are known to have been Britonnic in culture and language.